Jacksonville Beach is a city on the Atlantic coast of Duval County, east of Jacksonville, Florida, United States. It is part of the Jacksonville Beaches communities, together with Mayport, Atlantic Beach, Neptune Beach, and Ponte Vedra Beach. 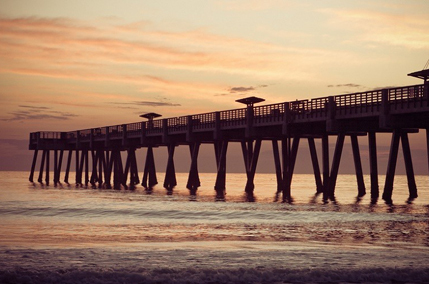 Jacksonville Beach is the largest town in the Jacksonville Beaches community. It is the eastern terminus of U.S. Route 90, which ends at an intersection with State Road A1A three blocks from the Atlantic Ocean. In the late 19th century, developers began to see the potential in Duval County’s oceanfront as a resort. The amusement park phase of Jacksonville Beach began in 1905 with The Pavilion which was later expanded and called Little Coney Island. It was a popular tourist attraction that had such entertainment as a dance floor, swim room, bowling alley, and roller skate rinks. The only amusement park in Jacksonville Beach today is Adventure Landing.